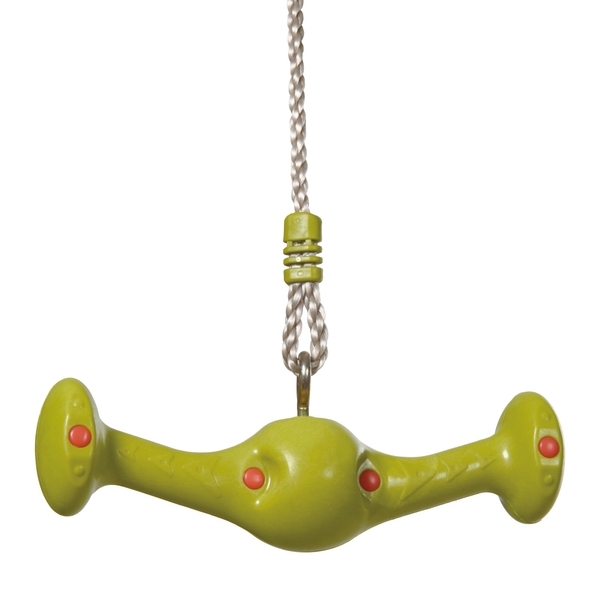 This rotating trapeze swing is a must have for any at-home playground! With its unique handlebars featuring a comfortable grip this lime green swing rotates a full 360 degrees—perfect for monkeying around! Featuring a height adjustable design this rotating trapeze swing can attach to most at-home playgrounds.